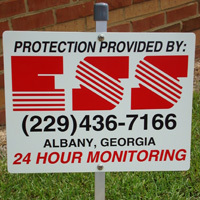 ESS is a state licensed low-voltage contractor serving South Georgia and North Florida since 1987. ESS is fully insured, has factory trained and certified technicians, and operates a 24 hour/ 7 day a week service department. ESS employees will always arrive in a company marked van. Locally owned and operated. Serving Southwest GA since 1987. UL Listed Local Monitoring Station. Uniformed Technicians arriving in Company Vans.